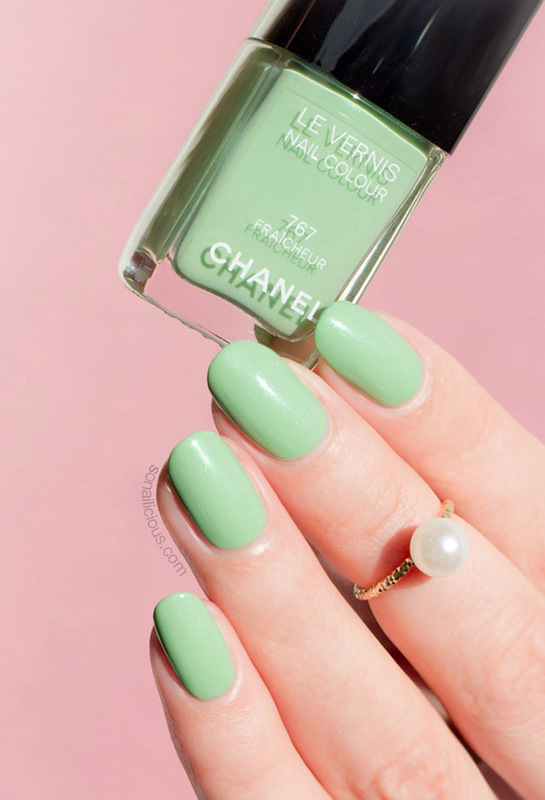 Chanel Fraicheur is a beautiful mint green polish from the Chanel Summer 2015 collection. I couldn’t get enough of it during the European summer after purchasing it in Rome. Now, with summer finally hitting the Northern hemisphere, Chanel Fraicheur will have it’s second moment of glory. Double summer! If you haven’t bought or considered adding this beauty to your stash yet, you’re in luck! This review will save you a lot of money and hassle later. Formula: 5-free (Formaldehyde, Toluene, DBP, Formaldehyde Resin, Camphor) and a little thin. You’ll need 3 coats to get it opaque (3 coats pictured). Application: The signature Chanel brush and great texture makes this polish very easy too apply and achieve a flawless finish. 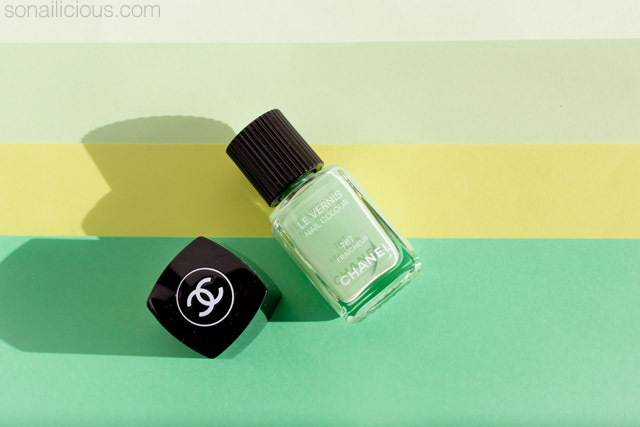 Finish: Chanel Fraicheur is a warm mint green creme with a subtle, spring green shimmer. 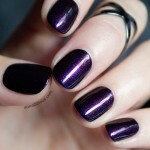 However, the shimmer is more apparent in the bottle than on the nail. It’s so subtle in fact that even under the direct sunlight, it’s almost invisible. Wearability: It lasted for 5 days chip-free with a top coat. 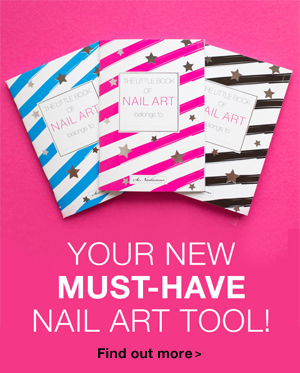 Nail Art: Great for gradient nails and as a base for any nail art (it’s fast drying). However, the thin formula isn’t suitable for any fine details. Dupes: There are no dupes of Chanel Fraicheur. 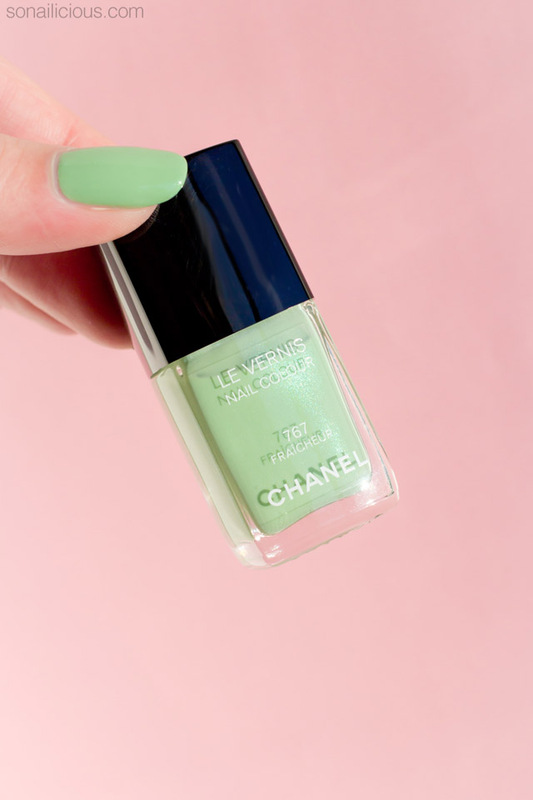 In my entire stash, there are only two nails colours from the same colour family as Chanel Fraicheur – Bio Sculpture Mint #100 and Picture Polish Tail Feather. But as you can see Mint is a much cooler solid creme and Tail Feather is much more shimmery. 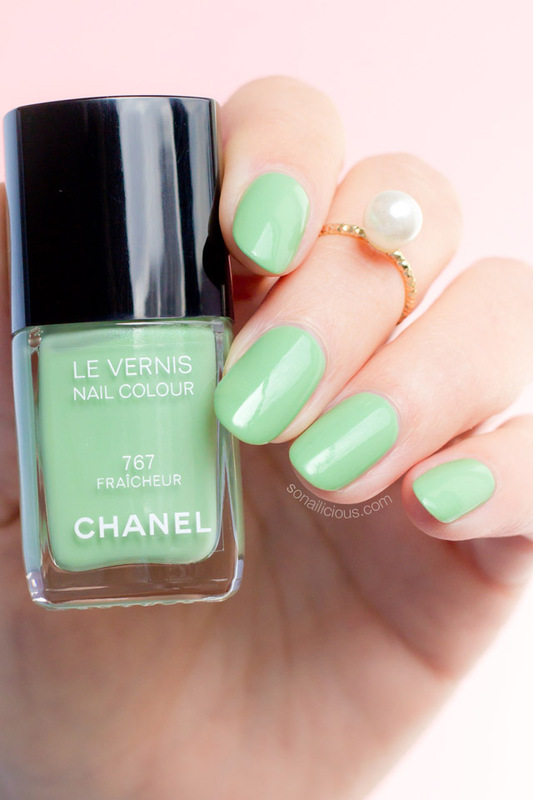 If you already own the famous Chanel Jade, Fraicheur is not a dupe of that either. Fraicheur is warmer with less shimmer. 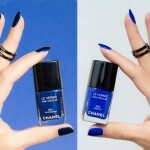 For more visual evidence that there are no dupes for this beauty, here are more great Chanel Fraicheur comparisons. 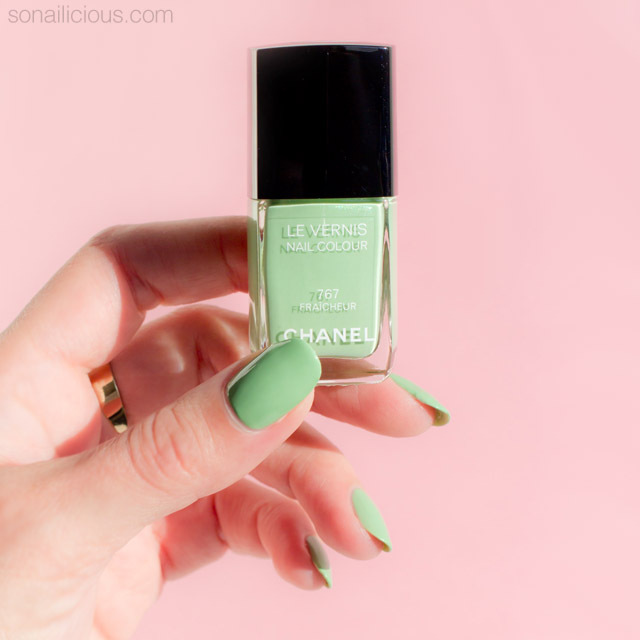 Overall Impression: Chanel Fraicheur is a must-have nail colour for any Chanel collector or nail polish lover. 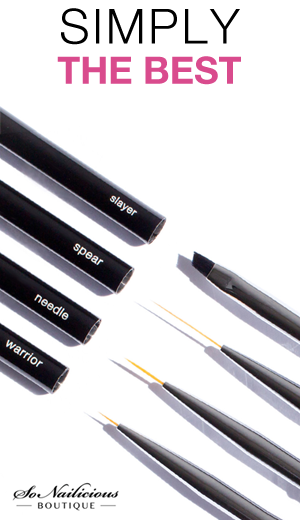 It doesn’t have any apparent dupes and is great day-time alternative to nudes and greys. It has all the potential to become one of those hard to get colours. 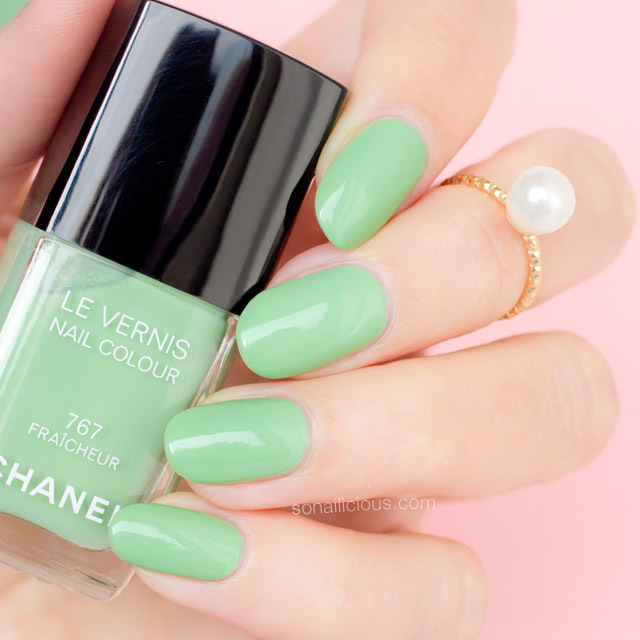 With prices on eBay for rare Chanel polishes going as high as $399, I’d definitely recommend getting Fraicheur now. Availability: Chanel Fraicheur – here, US $27. In Australia – AUS $39.00, at Chanel beauty counters. So, have you already tried/bought Chanel Fraicheur? Will you be getting it for your summer?